Whoa! Green E55! Haven't seen anything like that before. Must've been a special order huh? Also the Carlsson wheels on that car alone is somewhere between $10-12k right? Very nice! Has he dynoed that car yet? Or what's the HP? Yes, special order. We did not put the car on the dyno as of now, but we will in the near future. The wheel package with the PS2s (245 & 275) was around $8000.00, the price in the past 90 days has come down. The customer is very pleased with the car. 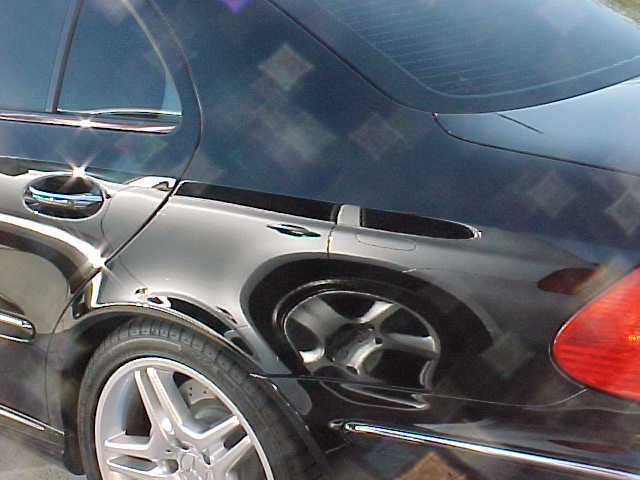 It has 560hp with the rear section Carlsson Exhaust installed. The performance package with the exhaust is $9270.00 plus installations. The lowering module is $1573.00 plus installation. If anyone is interested you may forward us your mail address and we will be glad to send out a complete Carlsson catalog. Why did you sell the cayenne. ? Outstanding pics Noredline... where in AZ are you? I grew up in Scottsdale, out where Camelback and Pima come together. nice car ekaz and welcome to the forum.. what wheels (size) are on your beast? Did you have to shave or cut control arm bolt to fit 245/35-20 (26.9" diam. as per toyo.com specs)? If so, how much? I just barely fit that size in my SL, which has a bit more room then my E.
Last edited by MB fan2; 10-11-2004 at 08:30 PM. 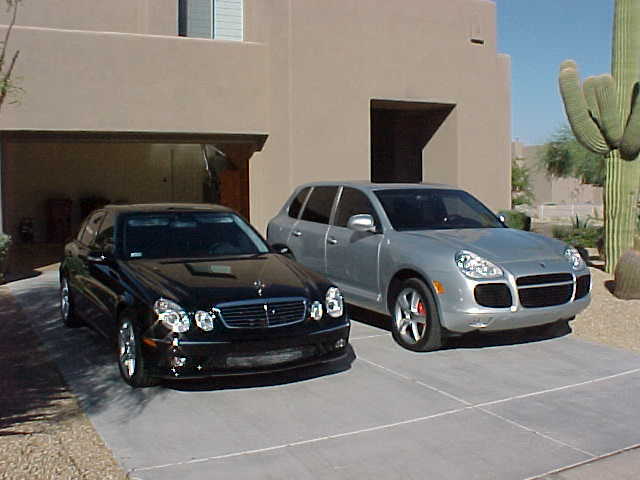 Heh, kinda funny actually, I bought the CTT to replace my ML55 because it was the only SUV faster and better IMO. 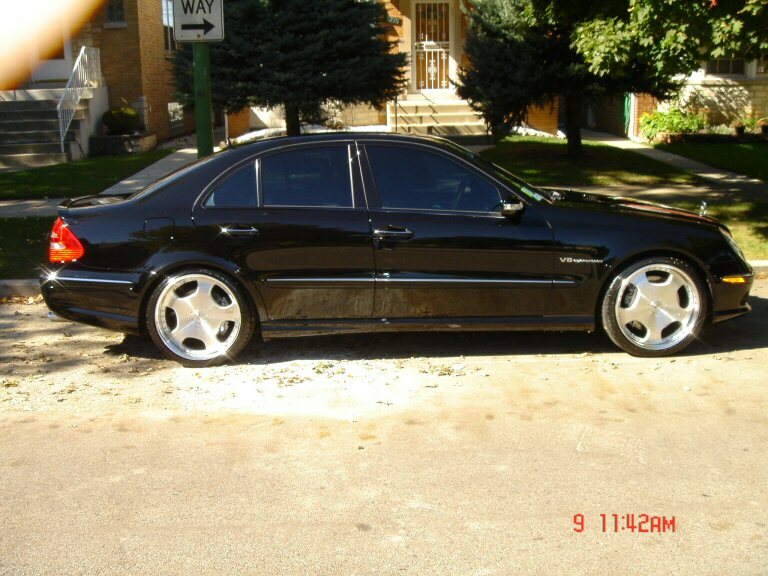 Then, 3 weeks later my wife buys an H2 to replace her CLK 320. 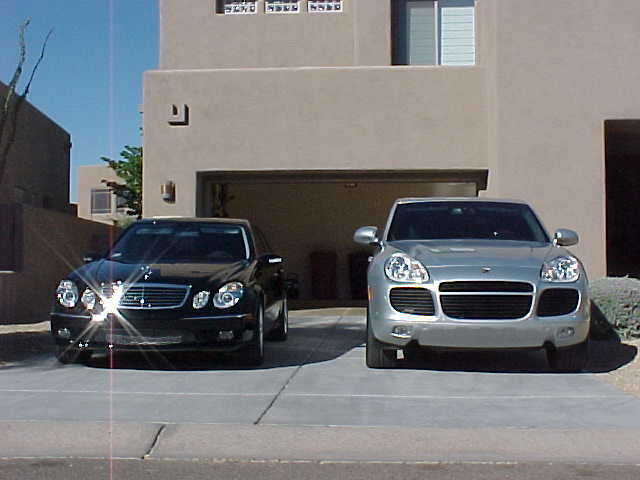 No need for two SUV's in the house, and only a 2 car garage, so that let me sell the CTT and get my dream car=E55!!! 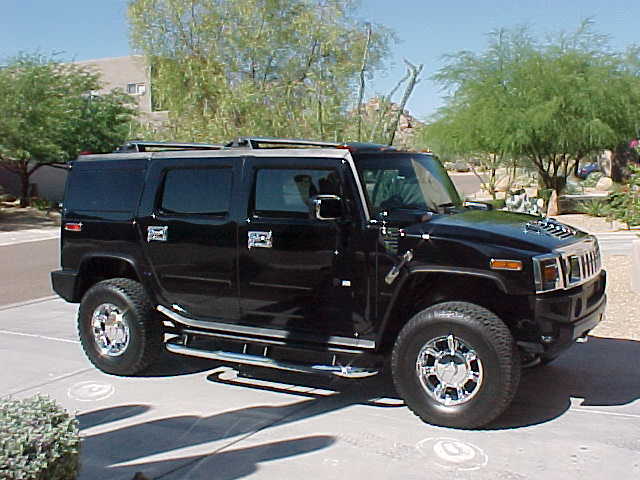 Pics of my wifes new ride complete with bling bling added by yours truely! Did not have to cut the bolt....very close fit though, barely fit my finger between the bolt and the tire. The wheel itself is wider so I don't think it's the full height as toyo says. I have been driving all weekend to see if there are any fitment issues, I have none. Fills the wheel-well nicely. If interested, I can forward the info for the place where I purchased my wheels/tires. Pretty good price and they were all mounted/balanced came with new studs and locks. Free delivery as well. 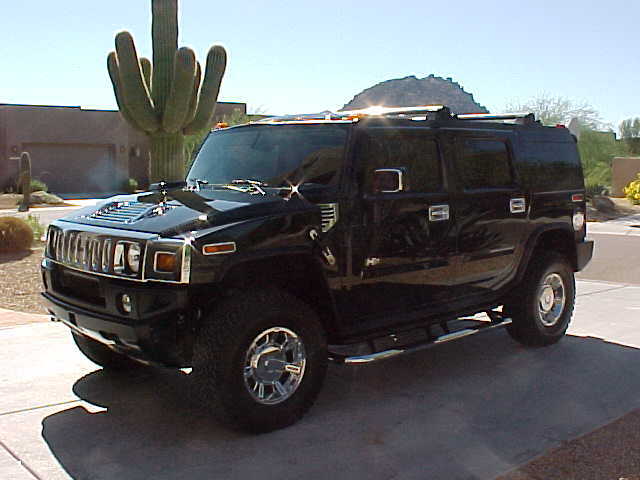 Loose the running boards and the roof racks it makes it so much meaner and agressive looking. Ahhh, looks good besides that very unique. Thanks Fr0zen She likes it, and she loves to trade now that I have the 55.
your car sure looks mean!! I'm also interested the place where you got your wheels, could you send their website to me? Thanks!